We woke up to the cozy sound of rain on our roof this morning. I love that sound, especially in our trailer where our bedroom is so tiny and the roof is so close overhead. “I’m glad we’re not in a tent!” Mark said as he burrowed down under the covers. Is he singing in the rain?? It looks like we’re in for a long day of soggy wetness here in Phoenix, Arizona, as a big storm from California sweeps through. But that isn’t stopping the hummingbirds from visiting our window feeder. They just hang out in the trees and wait between downpours. Then they swoop down to our window and grab a quick drink! 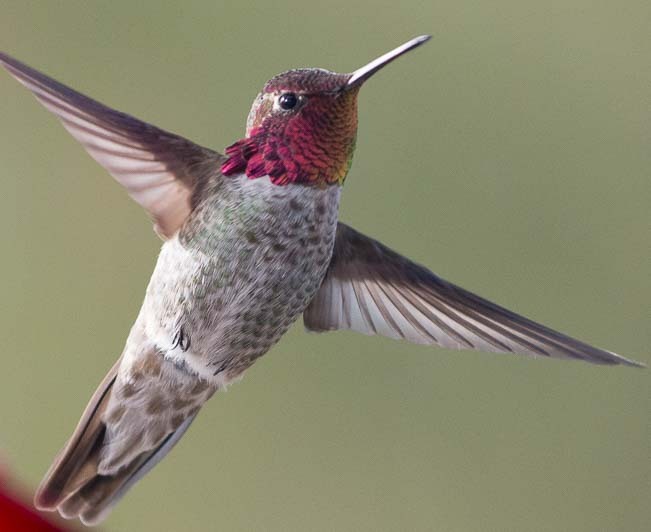 The rain is so good and so welcome here in the desert, but I do love the sunny days, and probably the hummers do too. 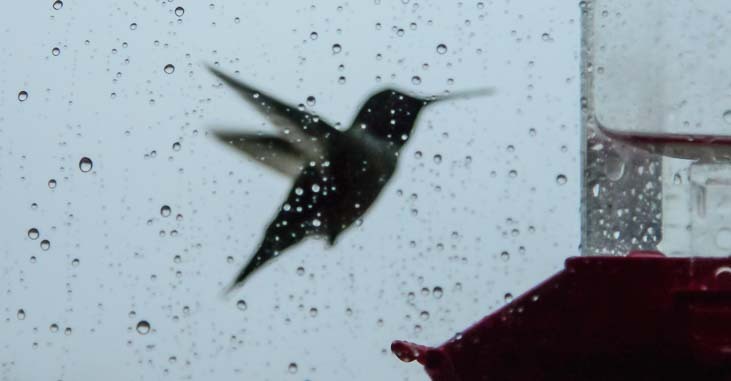 For now, we’ll relish the pitter-pat on the rooftop and enjoy watching the little hummers humming in the rain! For the whole collection of Quick Pics CLICK HERE!